Kason is the second Myanmar month and comes in April-May. It is also a sacred month for Myanmar Buddhists. The full-moon of Kason is a day of threefold significance:-Firstly,is the day that Buddha was born, secondly Buddha attained Enlightenment on this very day , and thirdly this is the day of his Demise. Therefore, this day is commemorated as Buddha Day by Buddhists. Kason is the last period of scorching summer season, so it is very hot. The main activity on this festival day is pouring water at the Bodhi Tree. Pouring clean and cool water on the Bodhi Tree is done as a symbol of veneration to the Buddha who attained Enlightenment by meditating under the Bodhi Tree. Nayon is the third month in the Myanmar calendar, in summer, and fall in May-June. With the aims of propagation the Buddhism, especially Pariyatti Sasana the practice of holding examinations in religious scriptures in Nayon was held in the second Innwa period, when King Thalun reigned. Nowadays, the State sponsored Examination were held every year for Pahtamabyan, Dhamma Cariya, Abhidhama, Visudi Magga and Tipitaka .Titles and Certificates for the flourishing of the Theravada Buddhism presentations of prizes and certificates are conferred on the Sayadaw, revered monks and nuns every year. 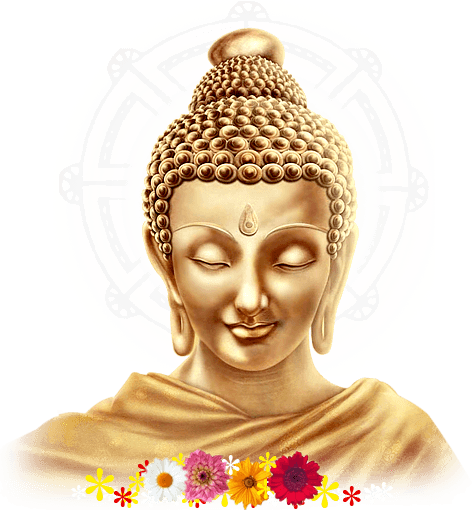 Moreover, in commemoration of Lord Buddha's preaching of Maha Samaya Sutta to celestial beings from ten thousand solar systems, Maha Sayama Day was also observed in this month . Waso, the fourth month in Myanmar calendar falls between June and July which is partially summer and partially rainy seasons. The full-moon day of Waso is very significant, because this is the day Buddha was conceived, the day that He renounced the worldly pleasure , and the very day that He preached the first sermon of Dhamma Cakka and the day that He performed the miracles of super natural powers. The day also marks the beginning of the Buddhist lent of three months when members of Sangha go into the rains retreat. A significant and meritorious deed of Buddhists in Waso is offering robes to members of the Sangha for use during the lent, and so these robes are called Waso robes. Moreover, there is a practice of young men and women going on outings of gathering flowers to be offered at Buddha images at pagodas and at homes. Thadingyut is the seventh Myanmar month in (September- October) towards the end of rainy season. Lord Gautama Buddha preached The Abhidamma to His reincarnated mother in Tavatimsa , abode of celestial beings for three Lenten months and returned to the abode of men on the full- moon day of Thadingyut . The King of the celestials created three stairways, gold, silver and ruby for him. Buddha took the middle ruby stairways radiating six hues of aura. The celestials came along by the right gold stairways and the brahmas by the left silver stairways . On account of that, Myanmar Buddhists celebrate Tavatimsa Festival on the full-moon day of Thadingyut by lighting multi-coloured illuminations. For the Sangha it is the time known as Pawayana, which means inviting, entreating, urging. In practice, since the times of the Buddha, it is to beg on another monks for forgiveness of any deed that might have displeased any other among Sangha. Like wise, there is also the practice among the laity of paying obeisance to parents and elders. It is the eighth Myanmar month ( in October-November) time for offering of Kathina, Matho Thingan , Panthagu offering , lotus offering and lighting . Kathina monk's robes are offered at this particular time of the year. It is held most communally . In connection with the offerings of monk's robes for a Buddhist , the donation of this kathina robe at this particular time is regarded as the most meritorious , as the monk who received this robe was chosen in accordance with the unanimous decision of Sangha after the plenary session of Sangha were held . There is also a practice of eating salads of Mezali leaves with the belief that it is medicinal if it was taken at this special time (i.e. at mid- night ) on the full-moon day of Tazaungmon.